Pakipaki is an unassuming place from the road. But turn off the highway just south of Hastings and you’ll find a settlement steeped in history, and a collection of buildings standing as testament to a wealth of stories whose wairua seems to hang in the air. Immediately ahead, is a small wooden church, minus a steeple. To its right, a John Scott church, quintessentially 1960s, its pedestrian proportions belying the surprising grandeur of the interior. And straight on, an Anglican stone church erected in the 1920s. 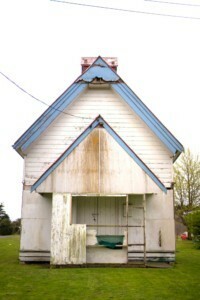 With three historic marae here too, Pakipaki is packed with importance. The first of these churches is the focus of a body of work linked to the canonisation of New Zealand’s first saint: Mother Suzanne Aubert (also known by her cleric name, Sister Mary Joseph). In December 2016, Pope Francis declared Aubert ‘Venerable’. Focus now shifts from proof of her historical and theological virtue to the recognition of a miracle. With one miracle Aubert will be declared ‘Blessed’ (the case for this has been presented and awaits Vatican hearing); on recognition of a second miracle she will become a saint. Aubert was a skilled herbalist, medical practitioner and social welfare pioneer. The sainthood journey involves all the geographic areas Aubert made her home during her life in New Zealand. 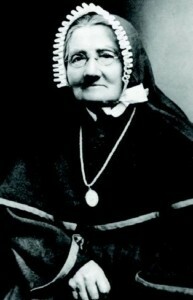 A French nun, following the mission of Bishop Pompallier, Aubert came here in 1860, first to Auckland. Ten years later she arrived in Meeanee, where she stayed for 12 years. Then, after nearly three years in Pakipaki she travelled to Jerusalem on the Whanganui River, and later to Wellington where she died in 1926 aged 91. Her time in Pakipaki was short but significant. Those involved in the road to sainthood that covers this part of Aubert’s life are working hard in preparation for what canonisation might mean for the settlement. Church of the Immaculate Conception, Pakipaki. Charles Ropitini is part of the group weaving many different needs and work programmes together to be ready. His relationship with the Catholic mission at Pakipaki is a life-long journey; he was baptised in the Scott Church as an infant. Charles knows that sainthood for Aubert will bring pilgrims to Pakipaki, potentially thousands. A key component is providing facilities for visitors – toilets, rest-stops, places to stay – but at the centre is a need to look after the original, humble wooden chapel: the Church of Immaculate Conception. 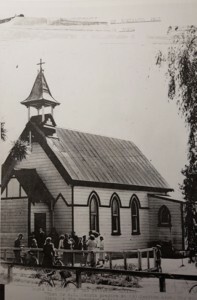 Built in 1880 by Sister Aubert and financed by her dowry, the church has been home to community initiatives since the regular mass was moved to the ‘new church’ in the late ‘60s. The older church was relocated to its current corner site to make way for the new build. Since then, it has housed Sunday school, a carving training programme, gardening equipment, and nesting welcome swallows, among other things. A spray-painted mural from the 1980s dominates the far end. Conservation architect Chris Cochran is preparing plans to preserve the building, and the Historic Places Trust is making decisions on its protection status. For those on the ground in Pakipaki the current main occupation is fundraising. Church of the Immaculate Conception, circa 1940. Aubert’s time in the small settlement was certainly informative; she began her renowned Maori language manual here and refined her knowledge of endemic plants. 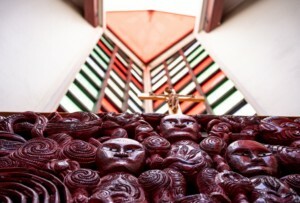 It was in Pakipaki that Aubert started to hone her instincts and skills with Maori medicines. 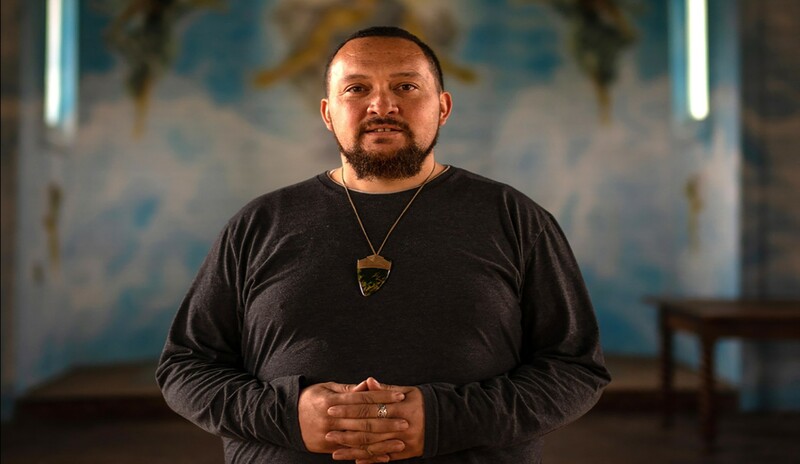 Already proficient in te reo and tikanga, Aubert fitted well into the Pakipaki community, and was accepted and trusted with knowledge. Charles feels her drive to build expertise in medicine came through her own ill-health, and once she left Pakipaki for Jerusalem it was on the behest of Pakipaki kaumatua who felt she would benefit from being there. 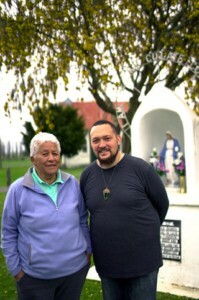 Now, 145 years after Aubert first arrived in Hawke’s Bay, with six bundles of luggage, two pianos and packs of courage and compassion for the people she found here, Pakipaki hapu are preparing for her sainthood, whatever it may bring.